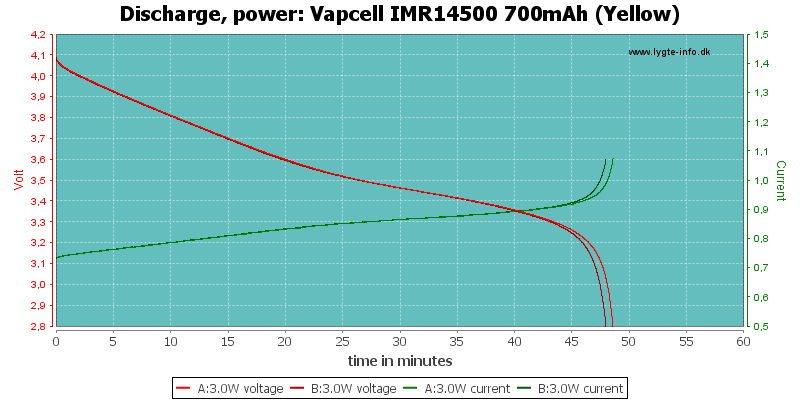 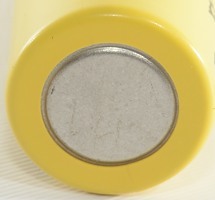 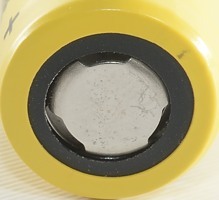 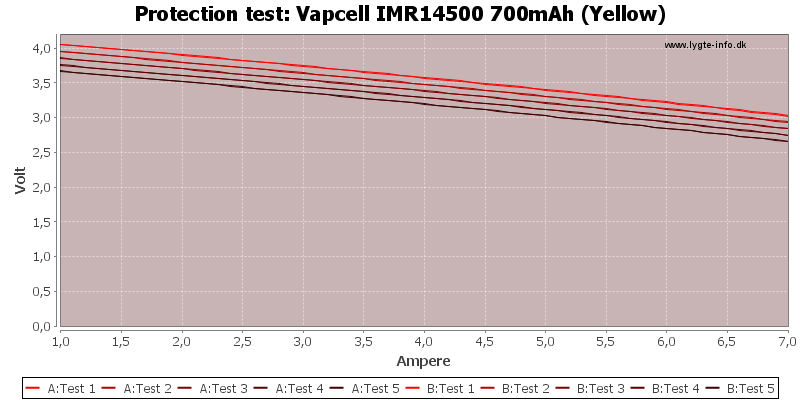 The AA sized high current LiIon from Vapcell. 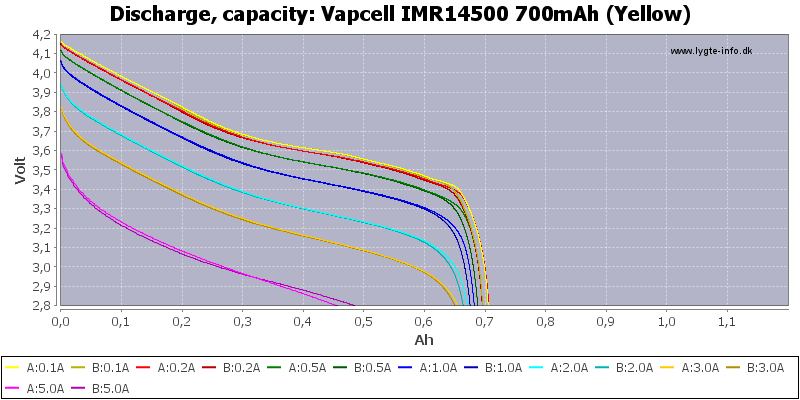 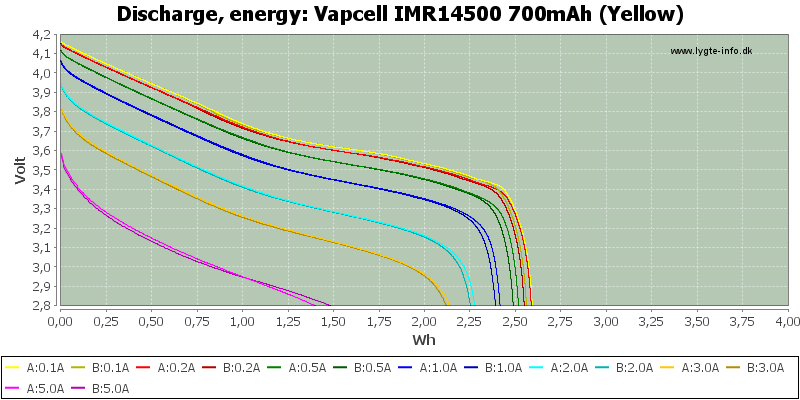 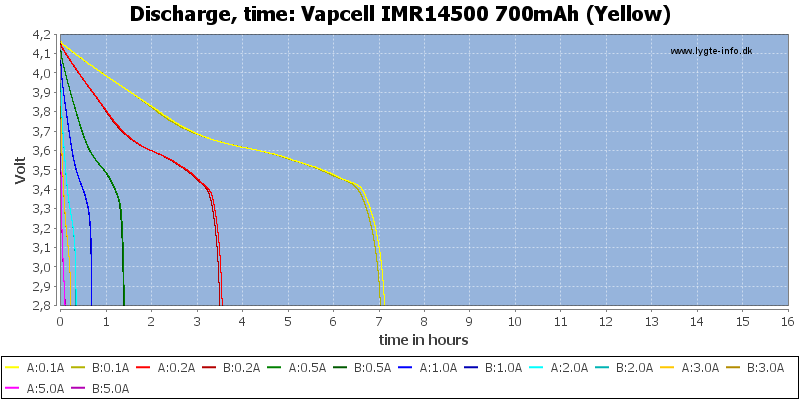 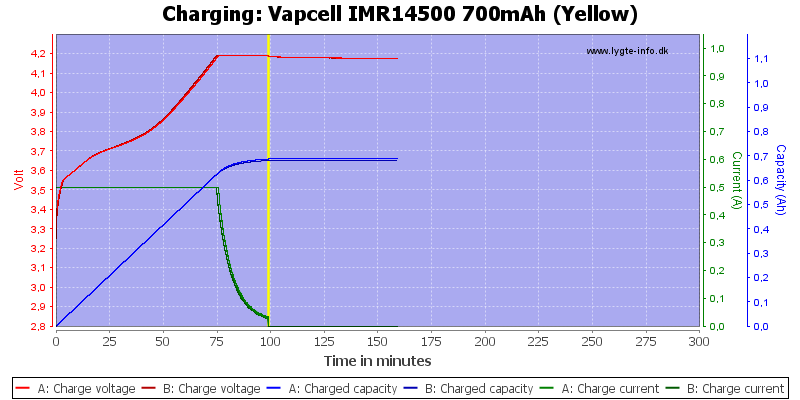 Nice looking discharge curves, the cell performes well with nearly constant capacity up to 3A, but 5A is to much. A good performing cell with both fairly high current and capacity, but the chemistry type used has a slightly low voltage at high currents. 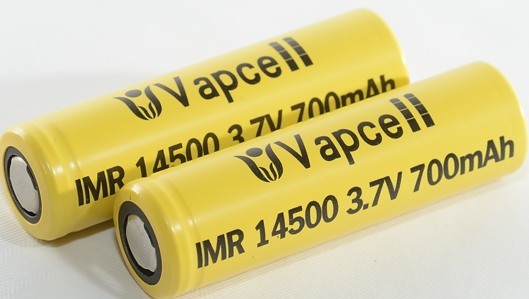 The batteries was supplied by Vapcell for review.